Another big win for Jeremiah Baron & Co.! 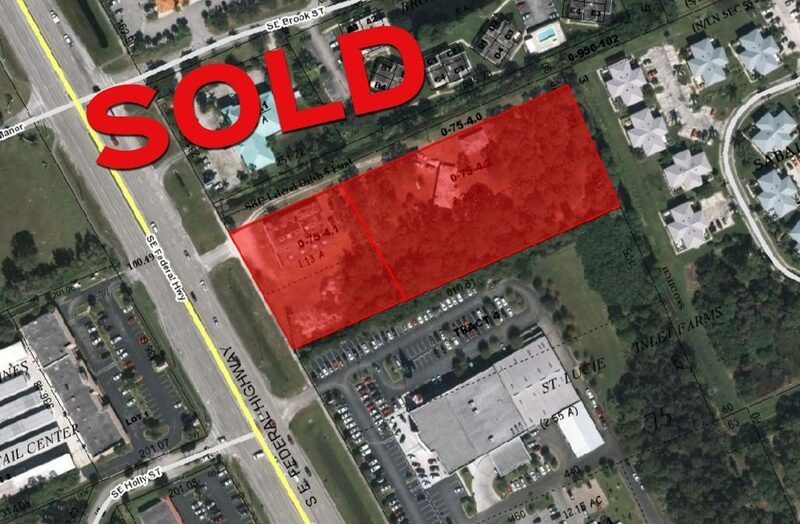 A 3.39 acre site near US-1 and SE Salerno Road in Stuart, has been sold for a grand total of $1,500,000. The site currently has an industrial building plus a home with a detached garage. Neighboring tenants include Treasure Coast Toyota, Harley Davidson Dealer, and many others. The new owners of the property plan to redevelop the site into a storage facility. The seller was represented by Matt Crady, Sales and Leasing Agent of Jeremiah Baron & Co. Commercial Real Estate, LLC.